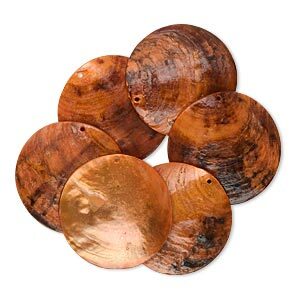 Focal, mussel shell (dyed / coated), orange, 40mm flat round. Sold per pkg of 6. 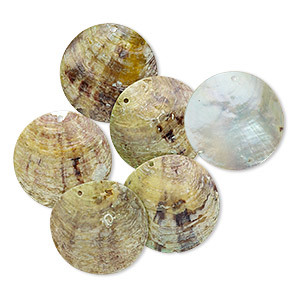 Economical, lightweight and reversible Chinese mussel shells are great focal pieces for your jewelry and accessories, such as belts and purse charms. 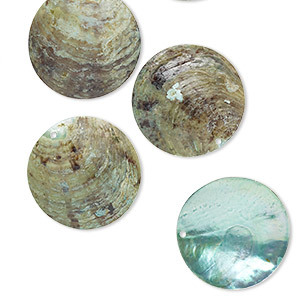 The shells are lustrous and reflective on one side and rough and dark on the other side, with a natural curve. 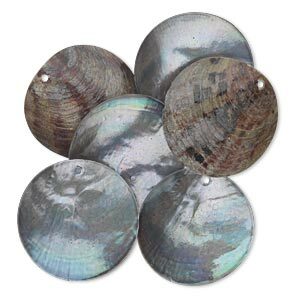 The light focal pieces are top-drilled and easily dangle from earrings and necklaces. 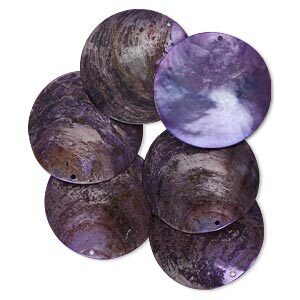 Focal, mussel shell (dyed / coated), light purple, 40mm flat round. Sold per pkg of 6. 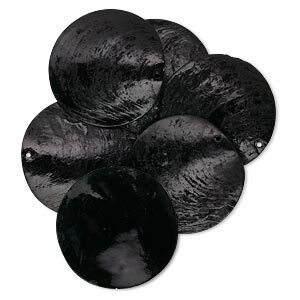 Focal, mussel shell (dyed / coated), black, 40mm flat round. Sold per pkg of 6. 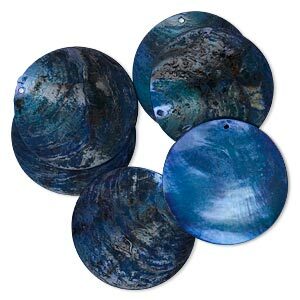 Focal, mussel shell (dyed / coated), peacock, 40mm flat round, Mohs hardness 3-1/2. Sold per pkg of 6. 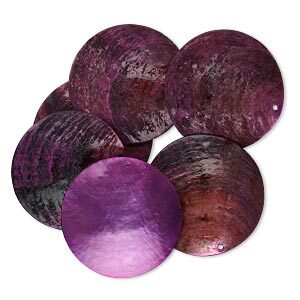 Focal, mussel shell (dyed / coated), purple, 40mm flat round. Sold per pkg of 6. 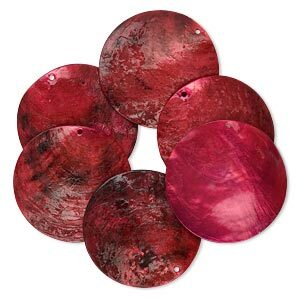 Focal, mussel shell (dyed / coated), red, 40mm flat round, Mohs hardness 3-1/2. Sold per pkg of 6. 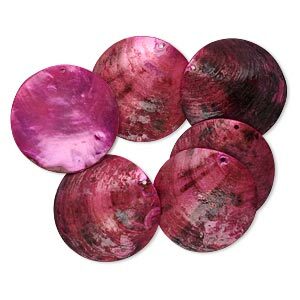 Focal, mussel shell (dyed / coated), fuchsia, 40mm flat round. Sold per pkg of 6. 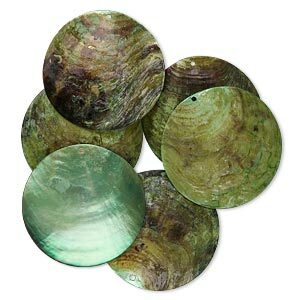 Focal, mussel shell (dyed / coated), grey, 40mm flat round, Mohs hardness 3-1/2. Sold per pkg of 6.